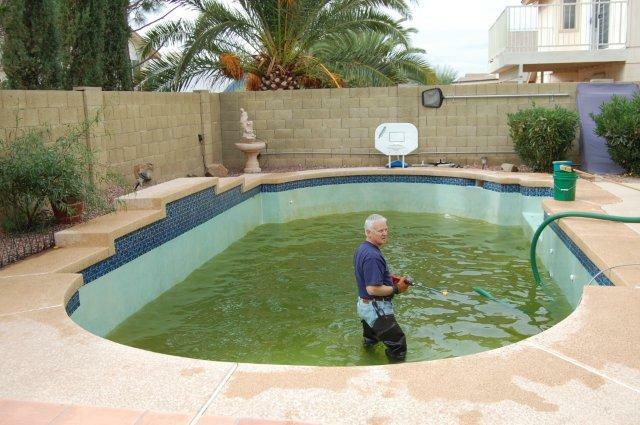 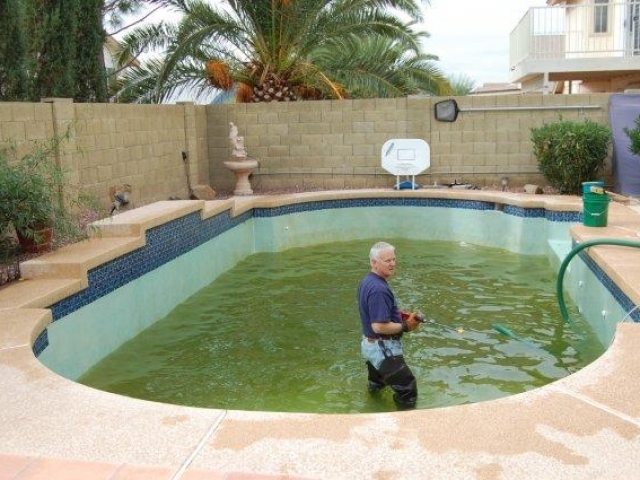 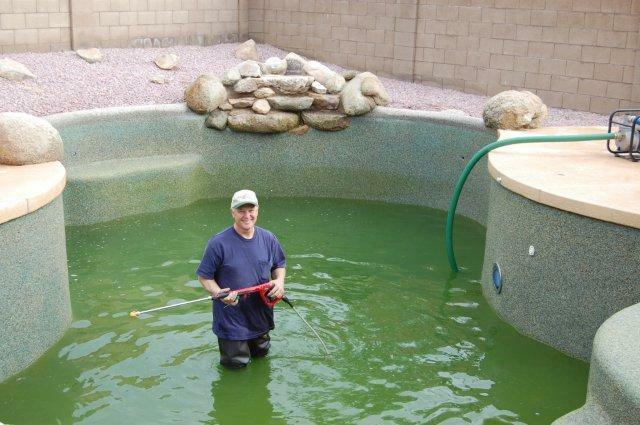 We specialize in getting green pools back into swimming shape! 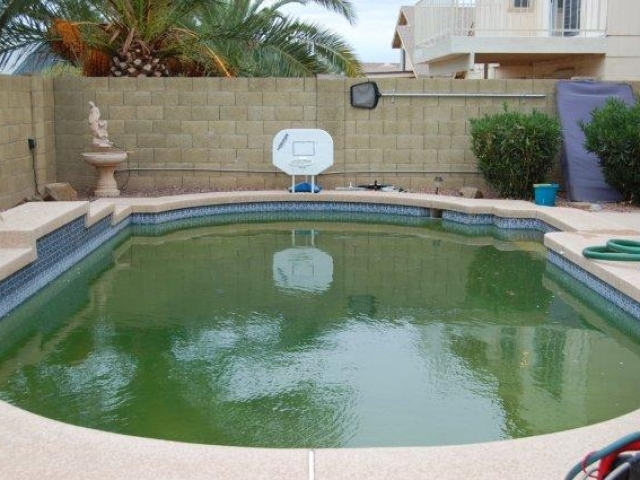 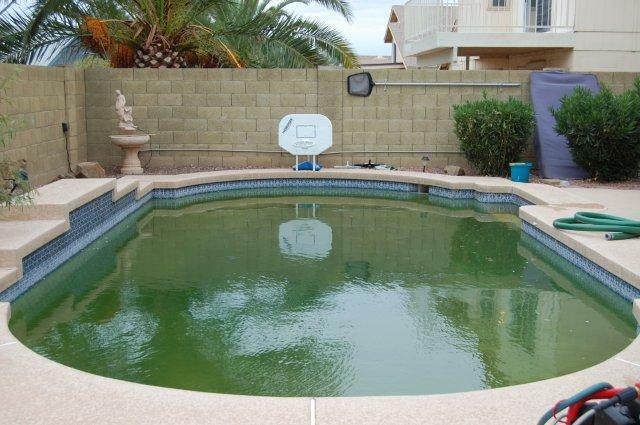 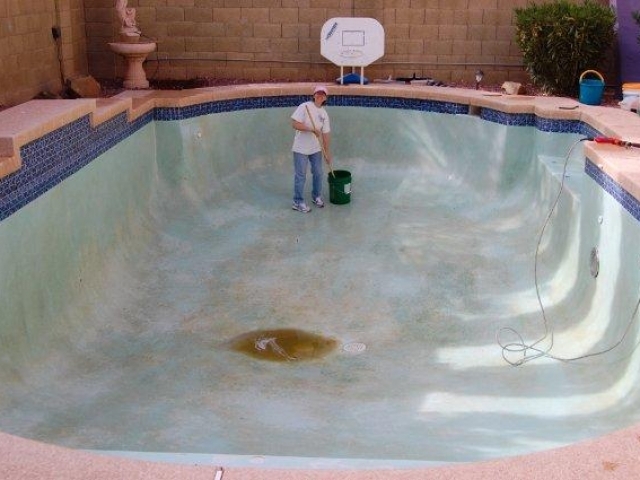 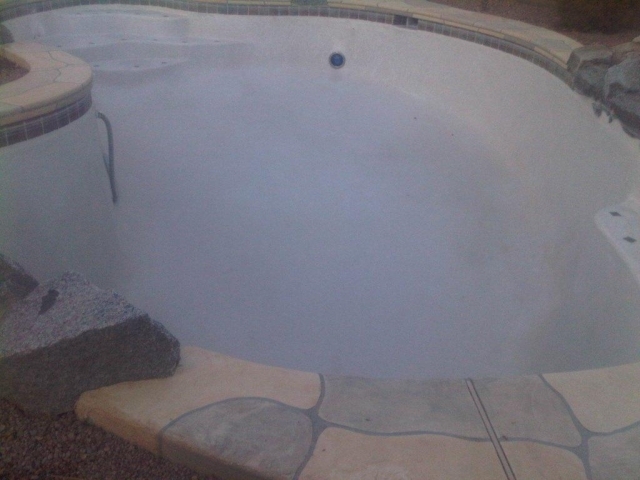 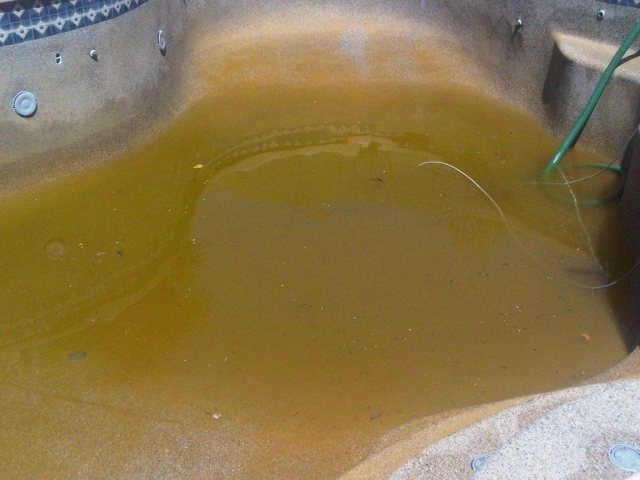 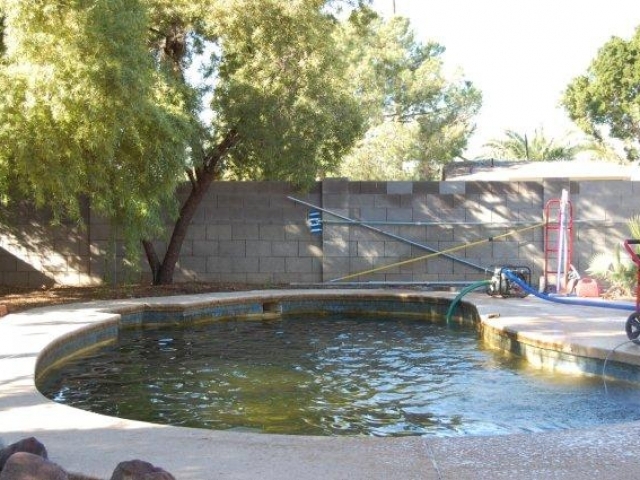 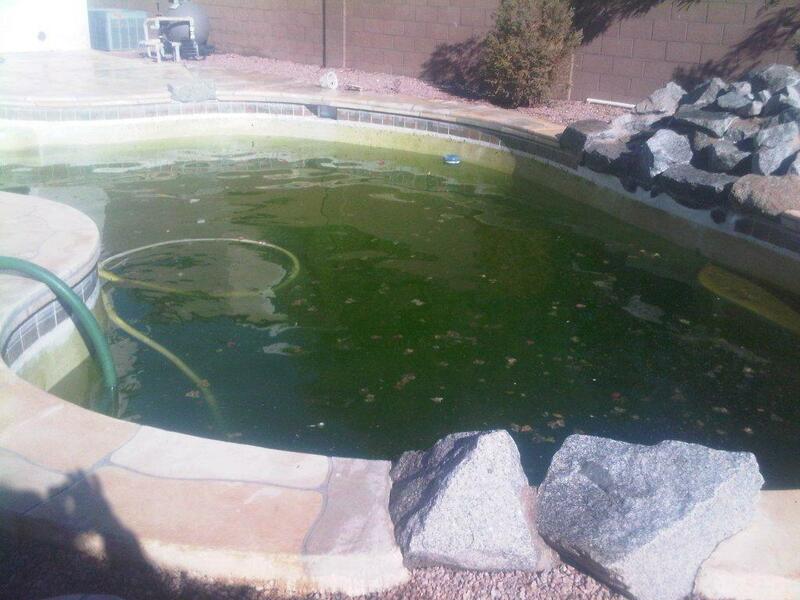 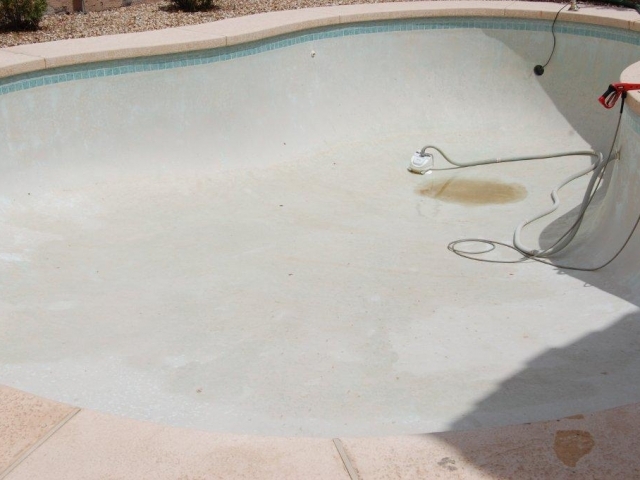 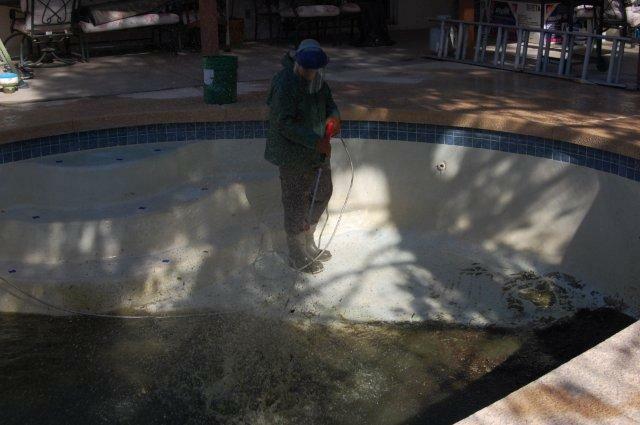 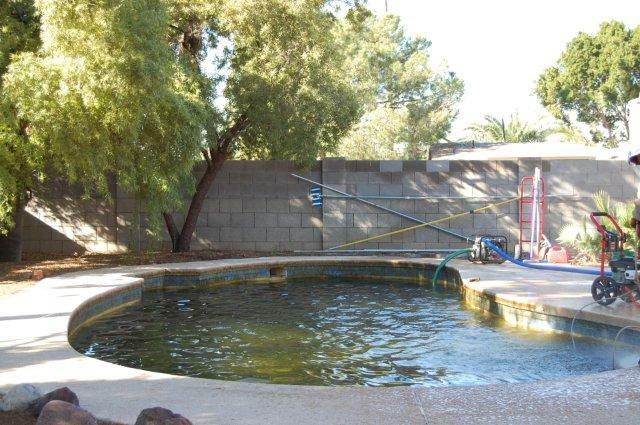 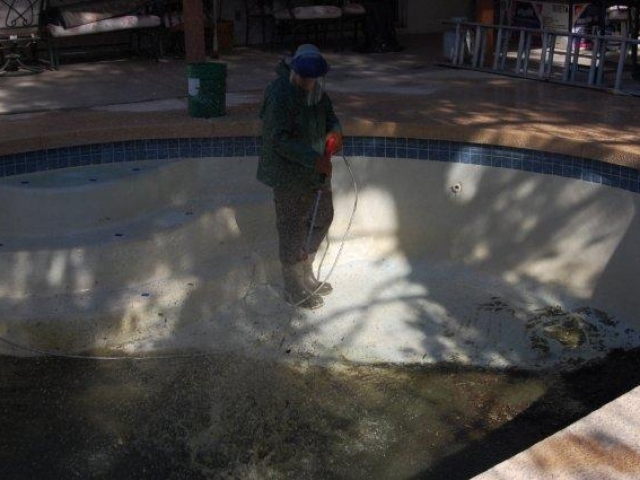 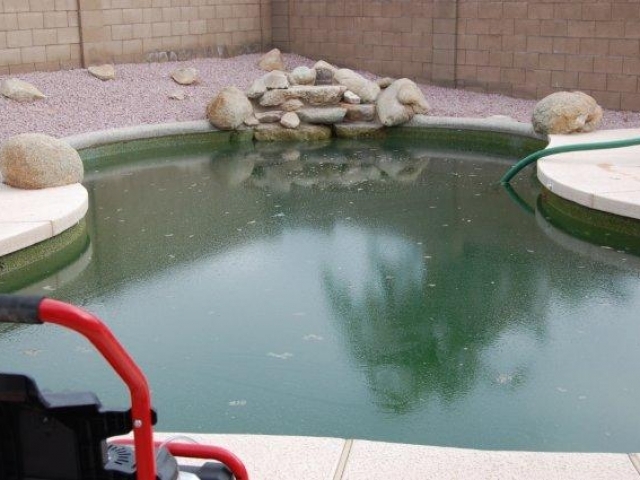 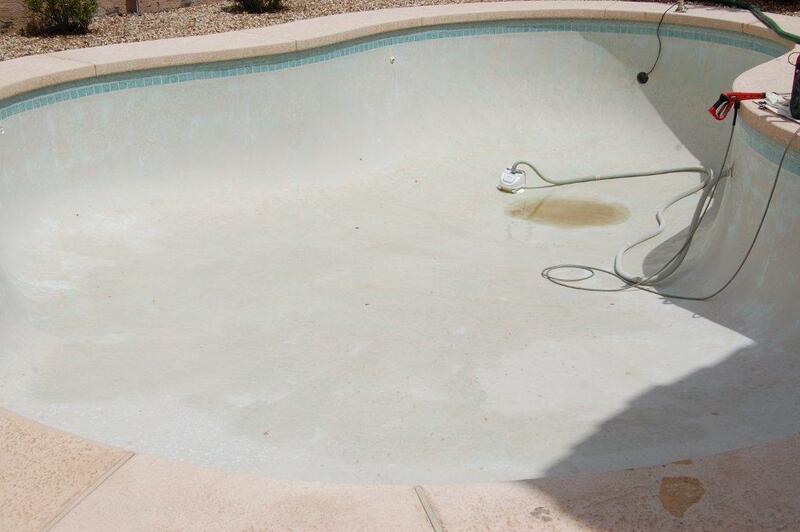 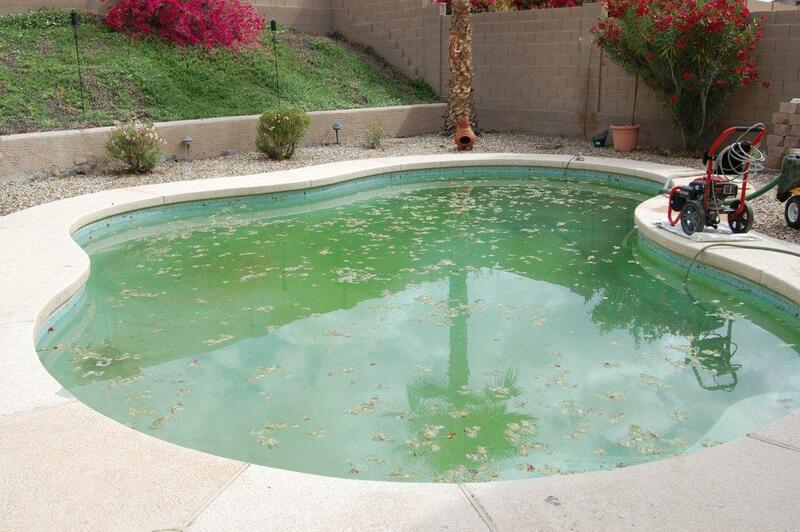 Do you have a neglected pool on your Maricopa County property? 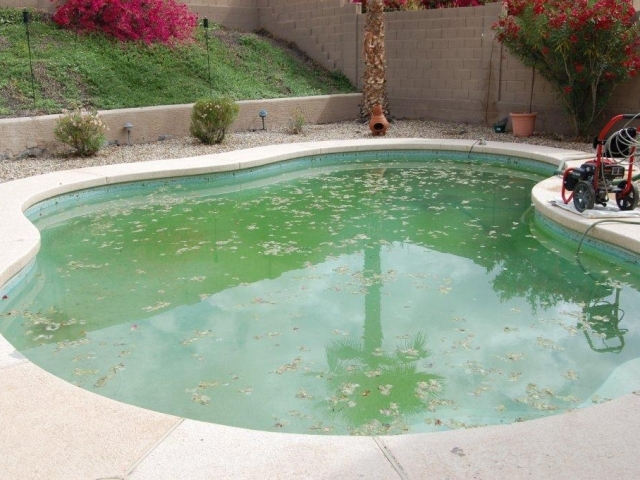 Has the pool turned green and has so much mineral scale on the tiles that it no longer remotely resembles something anyone would want to swim in? 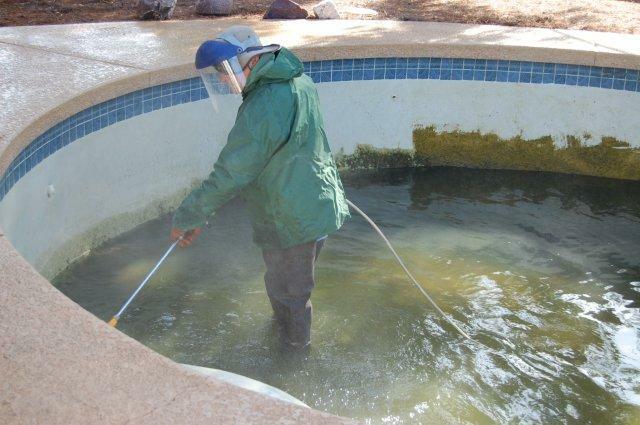 Swimming pools that are unclean and unsafe are no fun for anybody! 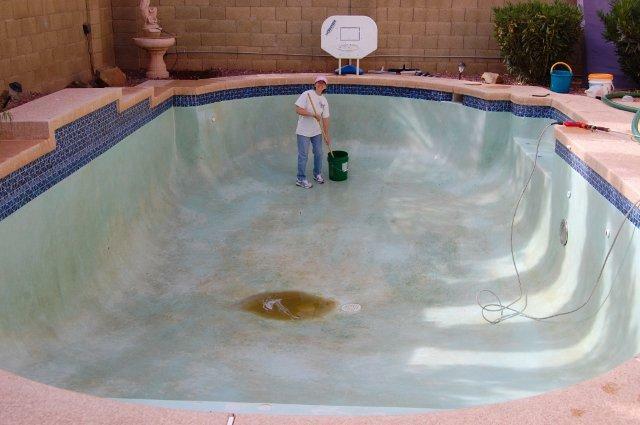 Thankfully you've found our website. 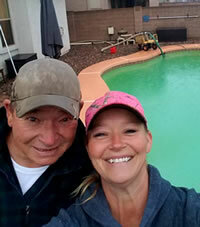 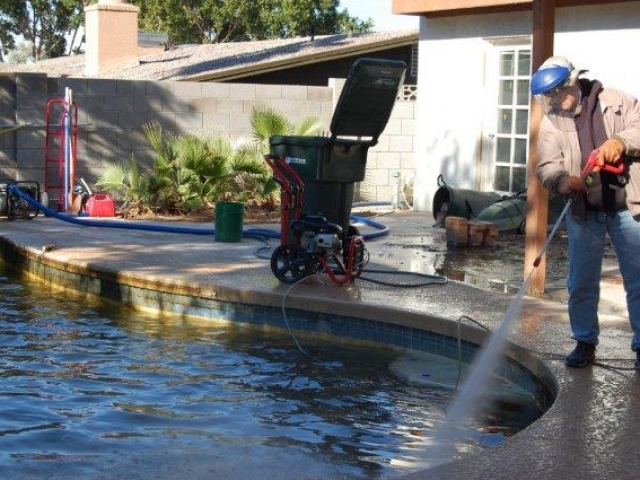 Arizona Pool Drain is a locally owned and operated pool maintenance company serving the Maricopa County area. 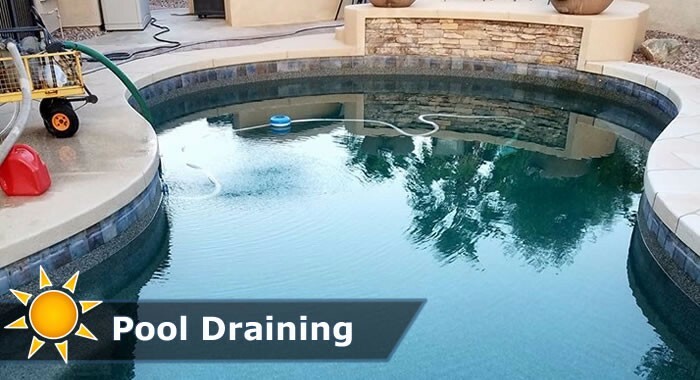 We specialize in pool draining services, pool cleaning, pool tile acid washing and even pool equipment maintenance and repairs. 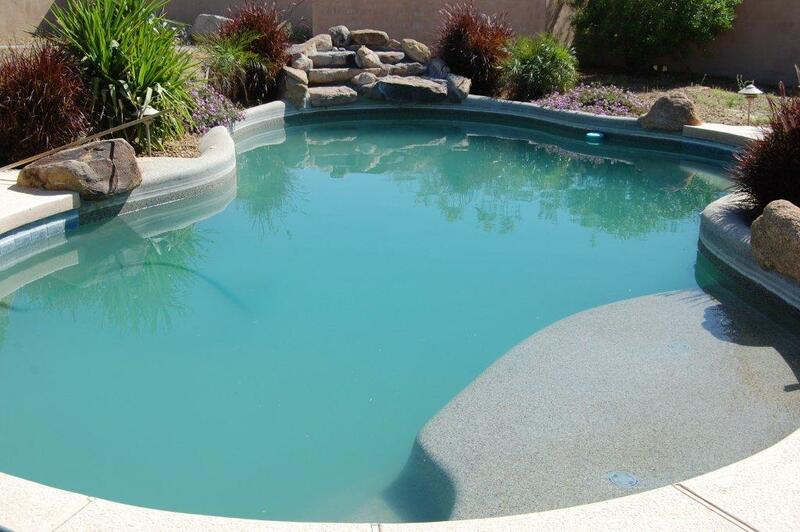 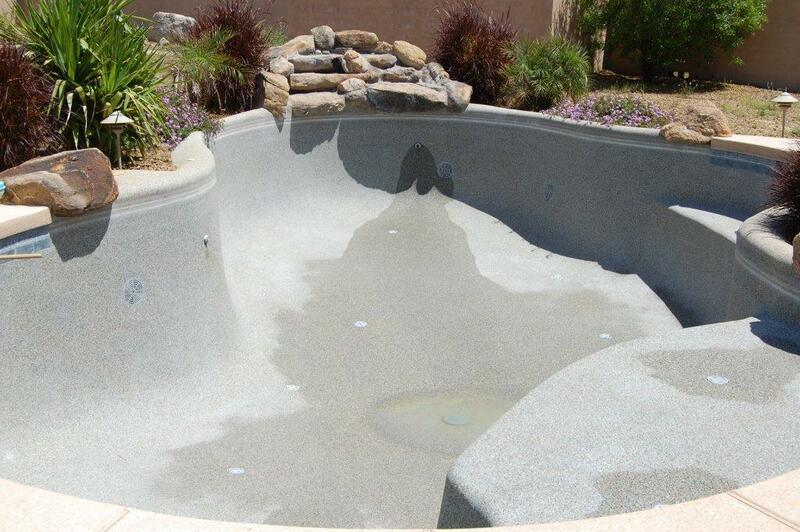 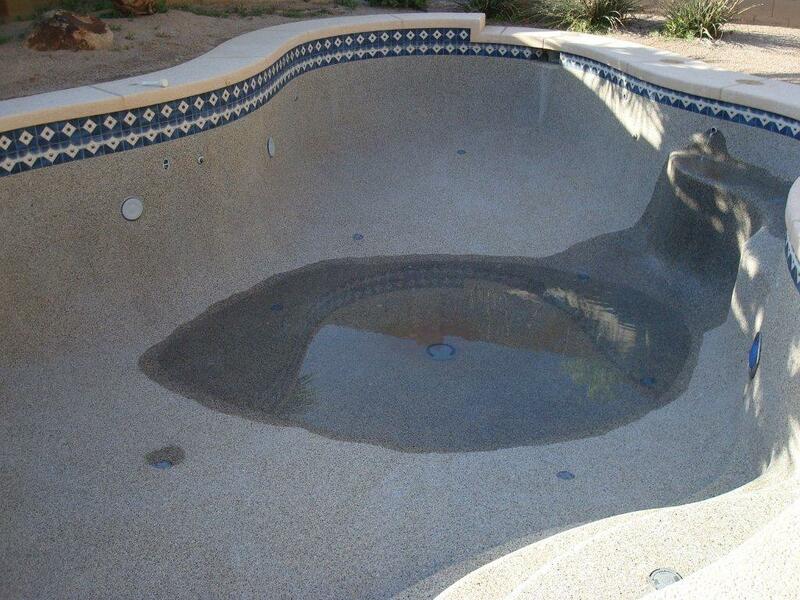 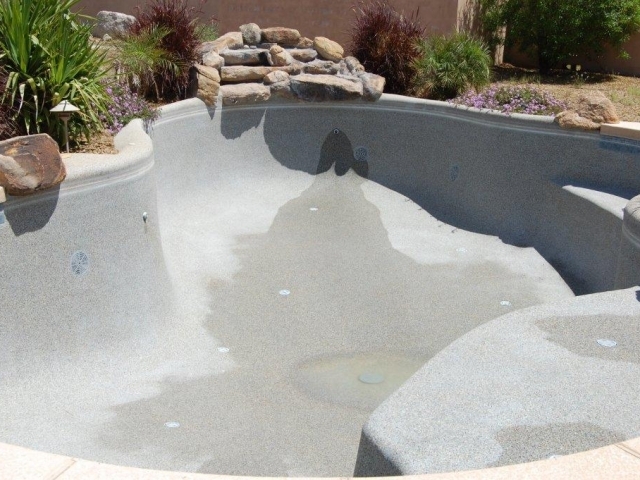 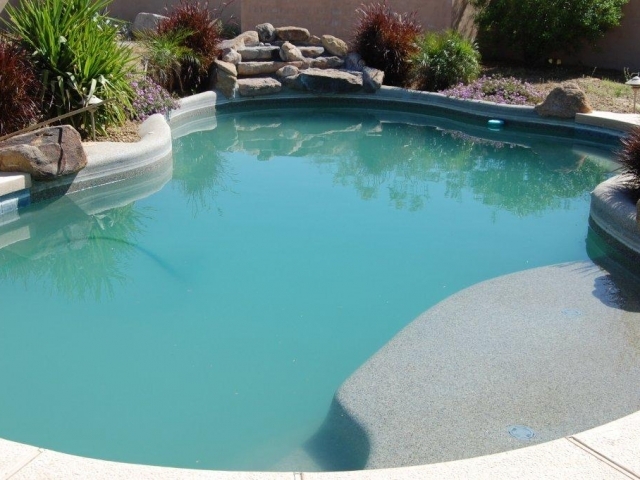 Why Choose Arizona Pool Drain For Your Swimming Pool Draining, Cleaning and Maintenance Needs? 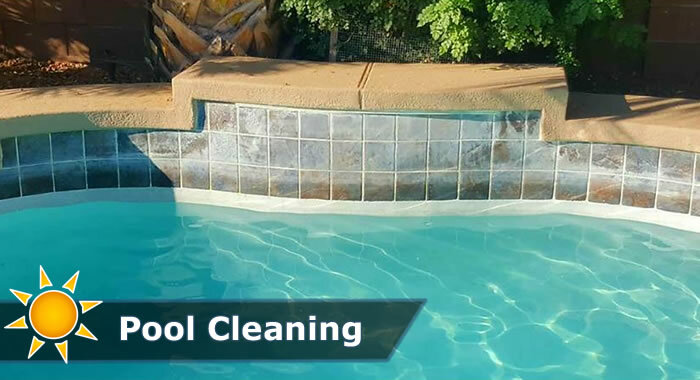 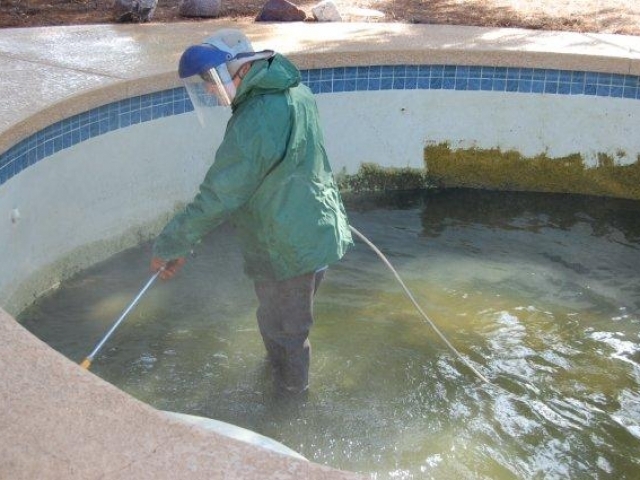 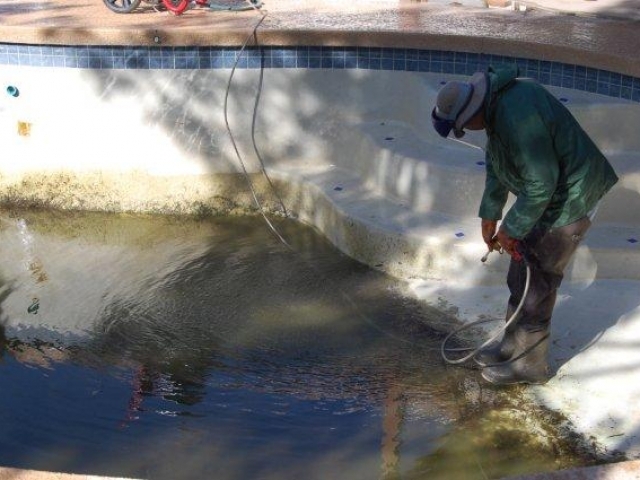 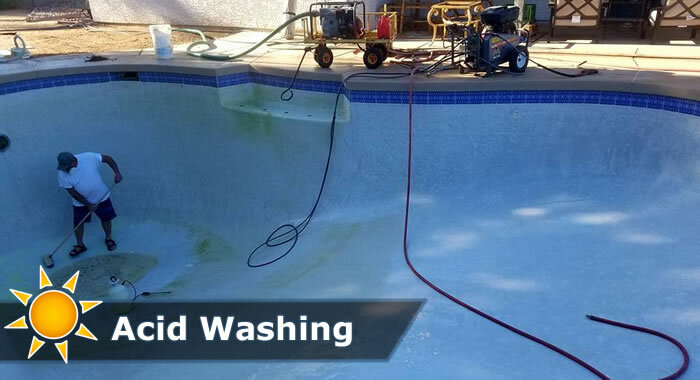 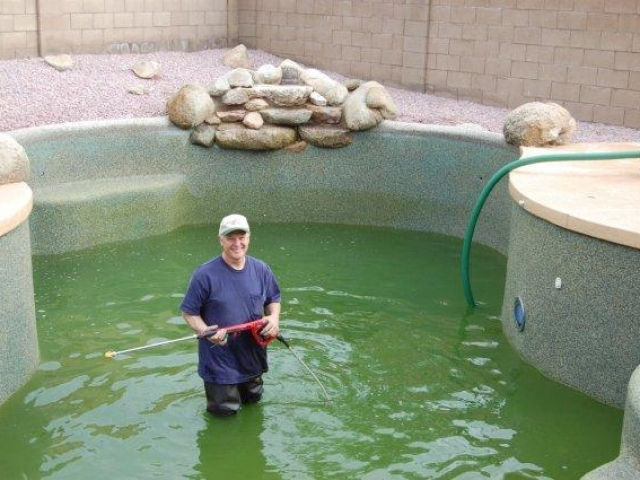 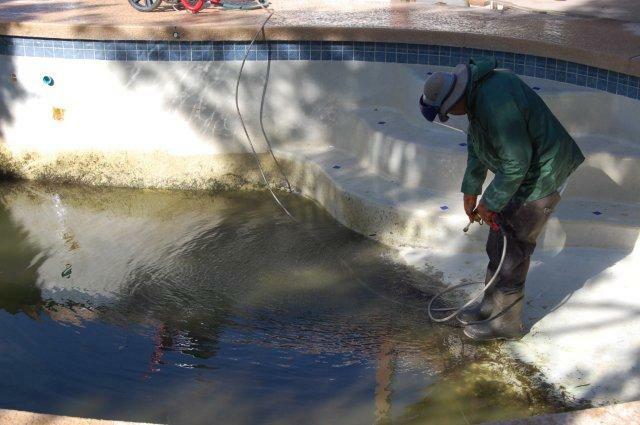 Because when you choose to work with Arizona Pool Drain you are partnering with a small team of dedicated professionals, who take cleaning your pool and getting it back into "swimming shape" seriously. 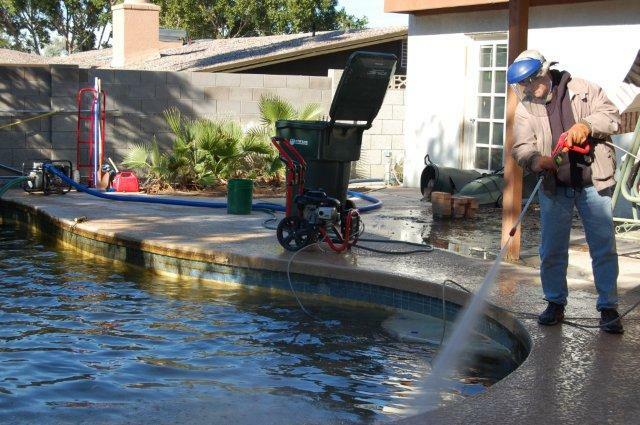 We offer fast turn arounds with the average pool drain taking 2 hours we can drain, clean and restore many pools in just one day! 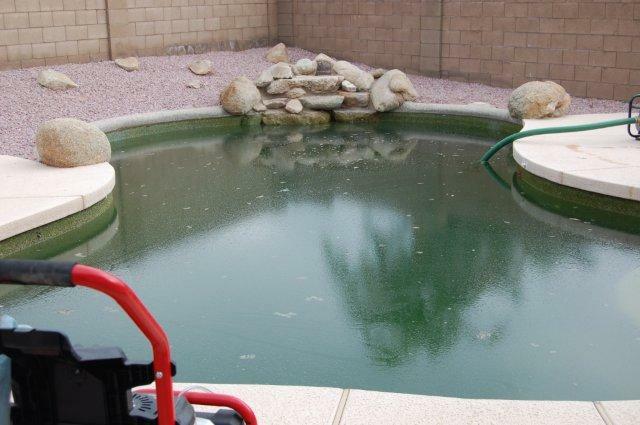 If you'd like to receive an estimate to drain, clean or maintain the pool on your Maricopa County property please give us a call or fill out our contact form and someone will get back to you shortly.